This was my princess’ first time flying. We were traveling to Montana to visit my sister, who is in the Air Force. Before our trip, I consulted with several mommy friends, other bloggers and our pediatrician to gain advice on how to prepare for flying with a baby. Combined with my own experience, here are my top tips for flying with a baby like a pro. Nurse (or bottle feed) during take off and landing. The swallowing helps the baby’s ears pop and distracts them from the weird sensations of take off/landing. Bring something to do! Would you want to sit in a seat for 3+ hours with nothing to do? Of course not! I brought a backpack full of toys, snacks and other distractions to help pass the time. When she was bored with one thing, it was time to take out something new. Strollers are approved carry on items when traveling with a baby. They will tag and stow it beneath the plane during the flight. It’s especially helpful during layovers when traveling to your next gate. it is often cold on planes once you get into higher altitudes. A blanket also comes in handy during longer layovers. We liked to find a place ( out of the way) to lay the blanket and toys out to give our little one some time to burn off some energy. Our princess actually started crawling (for the first time) on our return trip home! I had both my husband and my brother with me. It was so nice to have the extra help. We were able to take turns holding her on the flight and I had back up for when I needed to eat or use the restroom. It’s not always possible, but if it’s an option, take someone else with you! You can check a carseat for FREE! Check with your airline to be sure, but most allow it. Passengers with babies ALWAYS board first, so be ready early! Some airplane bathrooms (normally the larger ones) actually have changing tables in the lavatory. Two of the four airports we visited had nursing rooms for moms which we are all very nice and convenient. You can check the airport websites in advanced to see if they offer those facilities. 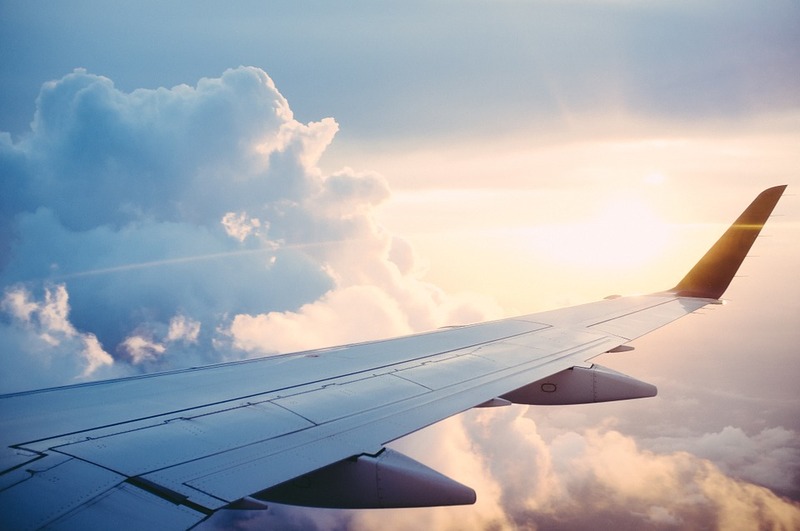 We flew Delta, American Airlines and United over the course of our trip. I nursed on ALL flights without issues and without a cover (click on each airline link to see their Baby Info!) I mean realitistically ladies, we can all nurse our babies WITHOUT showing everyone your business and making others uncomfortable. Have you flown with a baby? What am I missing? Please share your tips below! Headed to Disney? 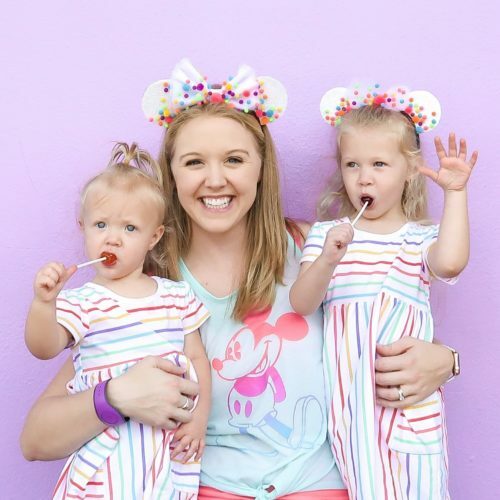 See why you should take a baby to Disney World!